A ribbon cutting ceremony to inaugurate the production facility for liquefied petroleum gas (LPG) was held in Tema, Ghana, on 4 August 2016. The facility is a product of the ANOMENA-ECOWAS Women’s Business Fund project “Promotion of ANOMENA Improved LPG Stoves as a Clean Energy Initiative for Cooking”, working towards contributing to the nation’s effort to reduce her dependence on solid fuels for cooking. 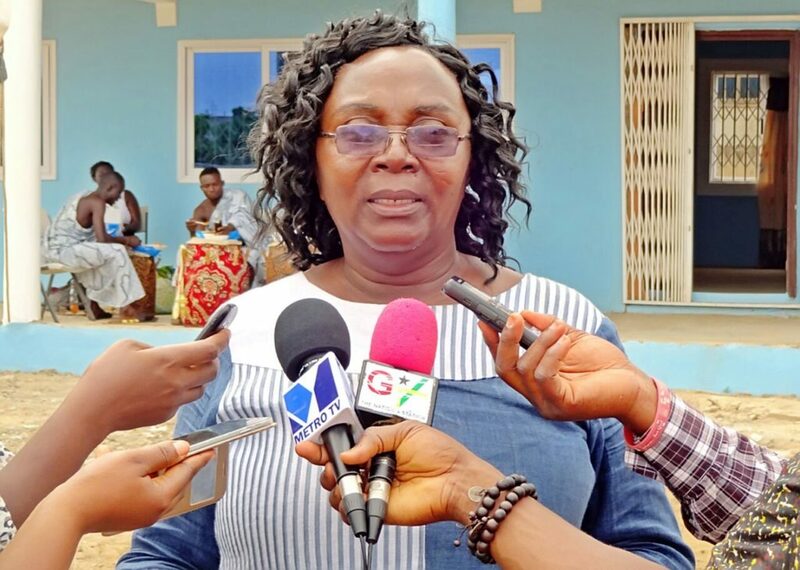 The Beneficiary, Dr. Sabina Ankoye Mensah noted that the clean stove production project aligns with the Global Alliance for Clean Cookstoves (GACC) mission to save lives, improve livelihoods, empower women and protect the environment. She noted that the ANOMENA stoves are uniquely designed to meet the needs of households and institutions. Thus, shifting demand from traditional and harmful fuels to cleaner fuels for cooking. Describing the gender mainstreaming aspect of Dr. Mensah explained that the project will employ women as stove producers and, thus, contribute towards increasing the level of female labour force participation in the energy sector in Ghana and West Africa as a whole. …the project will employ women as stove producers and, thus, contribute towards increasing the level of female labour force participation in the energy sector in Ghana and West Africa as a whole. The Director of Petroleum, at the Ministry of Petroleum in Ghana, Lawrence Apaalse, commended the project noting that it is in line with the Ministry’s LPG program. Also he expressed his delight that the production facility was established and is being run by a woman. Mr Apaalse, in closing, reiterated the strong commitment of the Ministry of Petroleum to the promotion of clean cooking solutions and to its partnership with the private sector, such as ANOMENA Ventures, to achieve the objective of supporting 50% of the Ghanaian population to adopt LPG by 2020. From a regional perspective, the ECOWAS Women’s Business Fund project in Ghana contributes to the objectives and targets of the ECOWAS Policies for Renewable Energy and Energy Efficiency. Both Policies work towards universal access to clean cooking energy by 2030, foreseeing that 26% of the ECOWAS population would have access to LPG for cooking. Furthermore, it contributes to the goals and objectives of the Draft ECOWAS Policy for Gender Mainstreaming in Energy Access, which works to create a level playing field for both men and women to contribute towards the region’s goal of universal energy access by 2030. Launched in 2014, in Ghana and Senegal, the ECOWAS Women’s Business Fund targets women entrepreneurs with innovative business ideas, giving them the support they need to transform their ideas into real, and commercially viable, business enterprises. The necessity of this initiative was validated by the beneficiary. According to her “ANOMENA improved stoves used to be produced at the shops of wayside welders…This continued until the ECOWAS Women Business Fund approved a proposal to support us with twenty-thousand Euros”. “ANOMENA improved stoves used to be produced at the shops of wayside welders…This continued until the ECOWAS Women Business Fund approved a proposal to support us with twenty-thousand Euros”. The representative of the ECOWAS Centre for Renewable Energy and Energy Efficiency (ECREEE), Ms. Monica Maduekwe, noted that the commissioning ceremony of the project “is a mark of success for the ECOWAS Women’s Business Fund Initiative”. Adding that, “It is also a significant achievement for women-led energy businesses, as this shows that with the right support women can be successful project developers and good business managers, contributing actively to the green energy revolution in West Africa”. The event brought together energy sector practitioners, government representatives, street food vendors, producers of stoves, artisans in the metal sector, civil society, development partners, and the media.